German dynamo Rainer Werner Fassbinder is legendary for his sheer volume of work and the astonishing speed at which he produced it. The mere fact that “The Bitter Tears of Petra Von Kant” (1972), his twelfth feature in just three years, was shot in ten days is therefore not a shock on its own, but the incredible refinement and precision of a film “dashed off” so quickly defies belief. 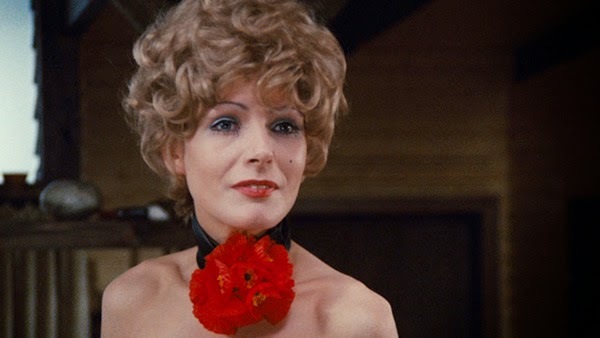 Granted, Fassbinder had already directed “Petra” as a play and called on Margit Carstensen to reprise the title stage role for the film while filling out most of the rest of the cast with battle-tested members of the Fassbinder troupe who already knew how to meet his stringent demands. In addition, the entire film is set in or just outside Petra's bedroom (more on that in a moment), but don't let that fool you into thinking this was a simple, no-frills shoot. For starters, though Fassbinder employs many long master shots of dialogue-intensive scenes, he did not ask cinematographer Michael Ballhaus to just set up for static, functional coverage. Ballhaus's camera prowls the expanses of the main set, the bedroom of successful German fashion designer Petra Von Kant. The ostentatiously-decorated room, Petra's lair really, is filled to overflowing with mannequins, dolls, and other tchotchkes (the shadow of a dachshund figurine looms above Petra's doorway). The chamber is dominated by a wall-sized rendition of Nicolas Poussin's painting “Midas and Bacchus,” providing the only male presence (most notably with Bacchus's prominently dangling ding-dong, a companion wiener to the dachshund) in the otherwise all-female cast. 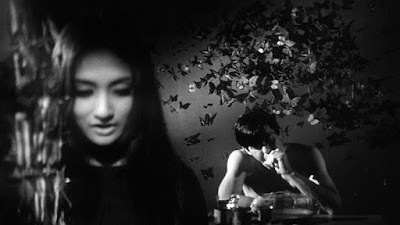 This set-up serves as one of many of the nesting frames within frames that would become a Fassbinder hallmark. In this gaudy den, the powerful Petra bullies her assistant Marlene (Irm Hermann, brilliant in a completely silent role) while entertaining the handful of guests who wander fly-like into her spider's parlor. Chief among them is young, working-class Karin (RWF superstar Hanna Schygulla), who has recently returned to Germany from years abroad and is looking for a helping hand. Petra, unable to keep either hand off the lovely Karin, eagerly offers her privileged assistance and vows to make “simple” Karin her next great fashion model. I think “Petra Von Kant” is one of the best-acted films I have ever seen, and not just for the impressive delivery of lengthy, emotional dialogue. It is a postural and gestural tour-de-force. Witness the shot where the much-beleaguered Marlene presses her palm against a window and hangs her head for a lengthy beat while eavesdropping on Petra and her cousin (Katrin Schaake) in the next room. Or the way Petra freezes motionless, her head perched menacingly over Karin's shoulder as the young woman relates her tale of woe. 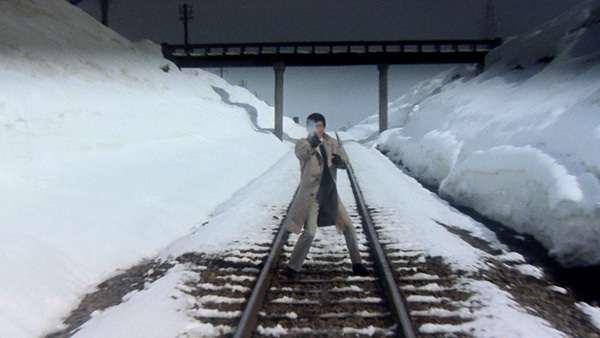 The actresses claim that most scenes were shot without rehearsal, and Fassbinder seldom used multiple takes, but each movement, each pose is so finely calibrated it seems it could only be the product of months of relentless practice. Or a few years in the Fassbinder Antiteater (Anti-Theater) troupe. Perhaps the most famous of Fassbinder's dictums was his belief that the person in a relationship who cares least wields the most power. 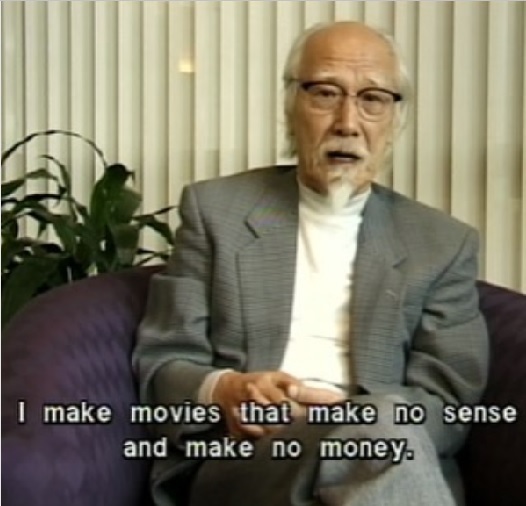 Most of his films explored this dynamic to some degree, but never more vividly than here. After wealthy Petra's initial seduction of the seemingly vulnerable Karin, the film jumps ahead in time to show Karin lounging in bed with a glossy magazine while Petra pleads with her for affection (silent Marlene lurks on the periphery, typing away and judging without comment). Petra is so desperate she even begs to be lied to, but Karin is more interested in seeing her picture in the paper. In a simple cut, the potent businesswoman has shriveled in the presence of a partner who does not return her love, yet still commands it. Fassbinder viewed this as an autobiographical work with Petra as his stand-in and Karin as a fictionalized version of his former lover (and actor) Gunther Kaufmann. You might find his view of romance (passion inevitably linked to debasement) chilling but it is convincingly rendered here. Petra is cruel, childish and indulgent but her pain at being used and abandoned by Karin is eminently palpable. Carstensen's languid, self-conscious poses provide the proper distance for the receptive viewer to feel the all-encompassing despair at a deep level, the depth where tears are the most bitter. I haven't even mentioned the costumes yet. When given the chance to dress fully for battle, Petra does not disappoint with an outfit straight out of “What's Opera, Doc?” Later she dons a wig and dress to look as much as possible like the departed Karin. 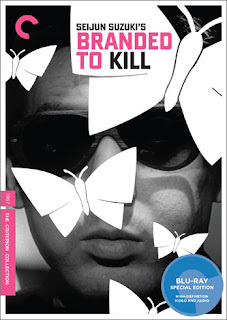 Add in one of the very best titles from a director who sure liked a good title (see also “Why Does Herr R. Run Amok?” or “Mother Kusters Goes To Heaven”) and you can understand why “The Bitter Tears of Petra Von Kant” is viewed by many as one of Fassbinder's masterpieces. Not bad for ten days' work, anyway. The film is presented in its original 1.37:1 aspect ratio. The new digital transfer was supervised by Michael Ballhaus. “Petra” was previously available on a competent SD transfer from Wellspring, but this high-def upgrade is a genuine revelation. Petra's room is an operatic hoarder's playground and the sharp image detail enables the viewer to appreciate every object, every nook and cranny of one of the most vividly-rendered rooms in cinema history. The colors pop with new life as well, making even Petra's subtle (and not so subtle) makeup changes stand out. It's generally understood that Fassbinder's earliest films were rough-and-tumble with his later films becoming more lustrous and ornate, but some of the movie in-between are absolutely gorgeous to behold. “Petra” is at the top of that list and this 1080p image is a real treat. The linear PCM Mono track is crisp but relatively flat. However, the songs employed strategically throughout (including The Platters' “Smoke Gets In Your Eyes” and “The Great Pretender”) have a pleasing richness. Optional English subtitles support the German audio. It's not quite loaded with extras, but Criterion has included some material that should fascinate Fassbinder fans. The two best features center on the actresses in “Petra” and many other Fassbinder films. “Outsiders” (2014, 30 min.) edits together newly conducted interviews with Margit Cartensen, Hanna Schygulla, Katrin Schaake and Eva Mattes (who plays Petra's daughter). They are open about the manipulative games the director would play with his inner-circle though Mattes, not really part of the Fassbinder clique, says he was quite kind to her. We get a more in-depth take on this inside information with another feature. “Role Play: Women on Fassbinder” (1992, 59 min.) is directed by Thomas Honickel and jumps back and forth between four interviews with Fassbinder actresses: Carstensen, Schygulla, Irm Hermann, and Rosel Zech (who didn't appear in “Petra” but was in a few late Fassbinder films, most notably as the title character in “Veronika Voss”). All of the women have plenty to say about working with Fassbinder, but I was most engaged by Irm Hermann's frank discussions about a man who did not always treat her kindly but for whom she clearly felt a great deal. Hermann sometimes gets overshadowed in discussions of “Fassbinder's women” as she played many thankless, less glamorous roles, but she is as crucial to his body of work as any of the other stars. A few of the women also discuss the (near) breaking-points they reached with Fassbinder as their collaborations progressed. 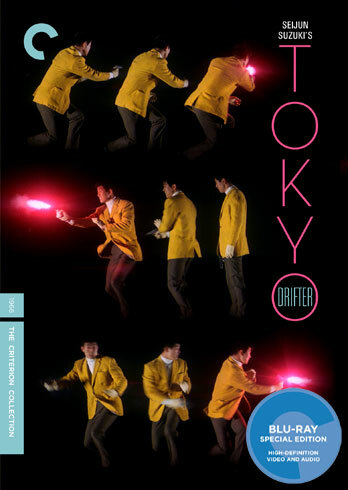 This is a great, great feature, one of favorite Criterion extras in some time. The disc also includes an interview (2014, 7 min.) with the great cinematographer Michael Ballhaus and an interview with Jane Shattuc (2014, 23 min. ), professor of visual and media arts at Emerson college. Shattuc discusses the allure of and challenges posed by “Petra Von Kant,” a film that's difficult for anybody (feminist or otherwise) to really embrace unproblematically. Which is what makes it so damned interesting. The fold-out insert booklet (I'm not a fan of this new format but it looks like it's here to stay) includes an essay by film critic Peter Matthews. “Ali: Fear Eats The Soul” is probably my favorite Fassbinder, but “Petra Von Kant” isn't far behind. There's no need to choose of course, now that both are proudly enshrined in the Criterion Collection. The high-def transfer provides a much-deserved upgrade for a beautiful film and is nothing short of a joy to behold. Fassbinder's women get plenty to say on the extras as well. Can a love story be rated as one of the greatest if it is almost completely hopeless from its inception? Why the hell not? Petra and Karin. Ali and Emmi. Fassbinder sure knew how to tell 'em.